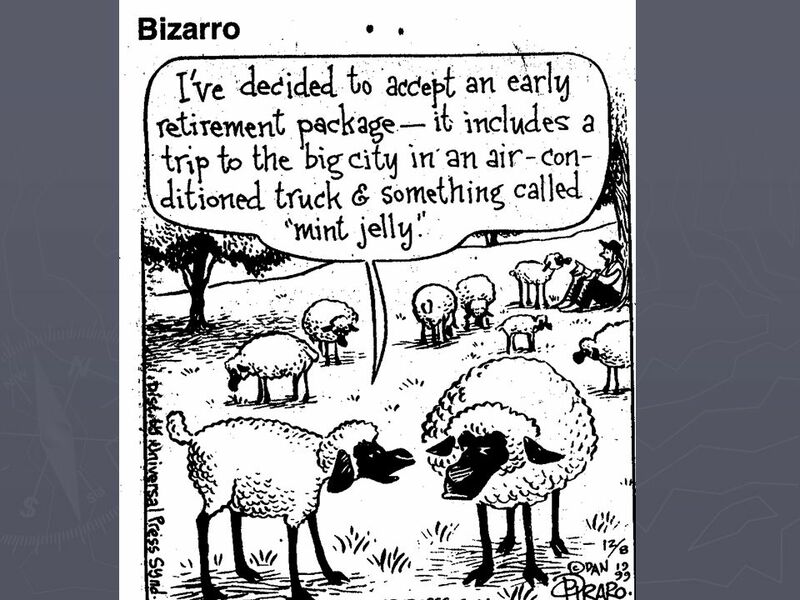 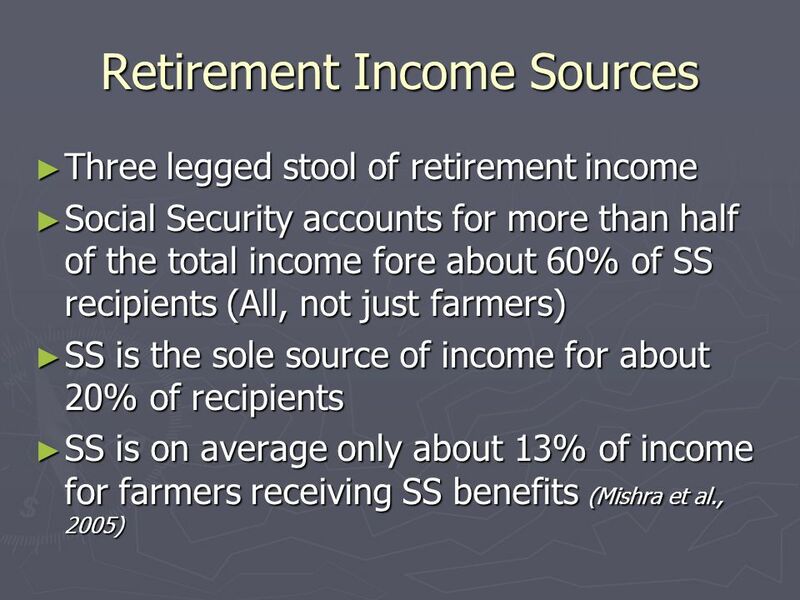 Retired Farmer: Is There Such a Thing? 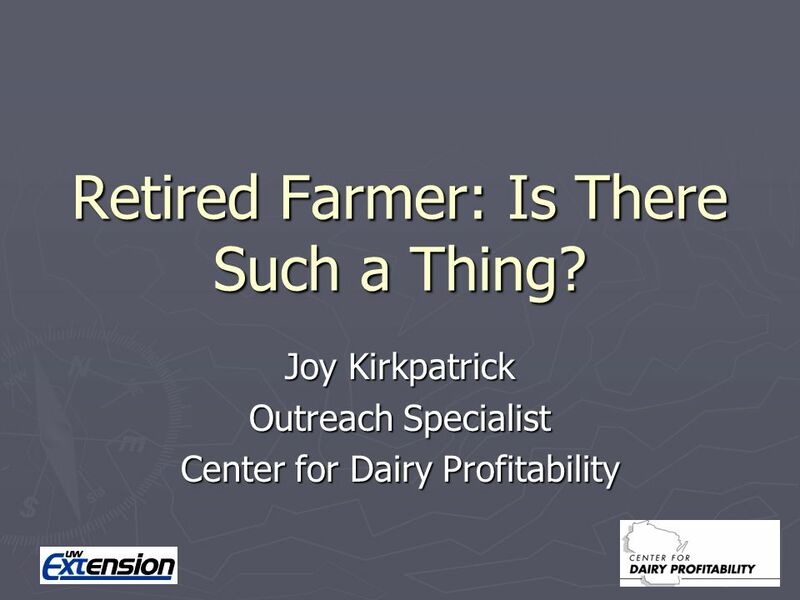 Joy Kirkpatrick Outreach Specialist Center for Dairy Profitability. 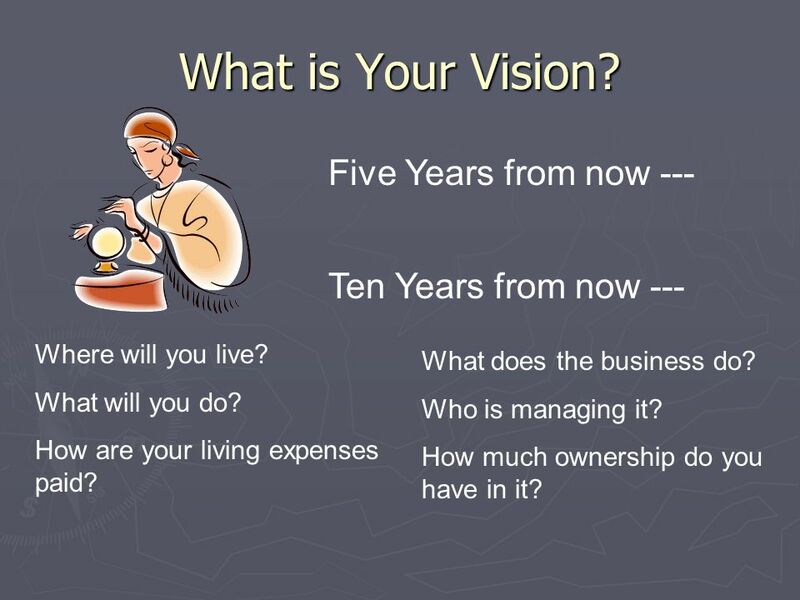 22 What is Your Vision? 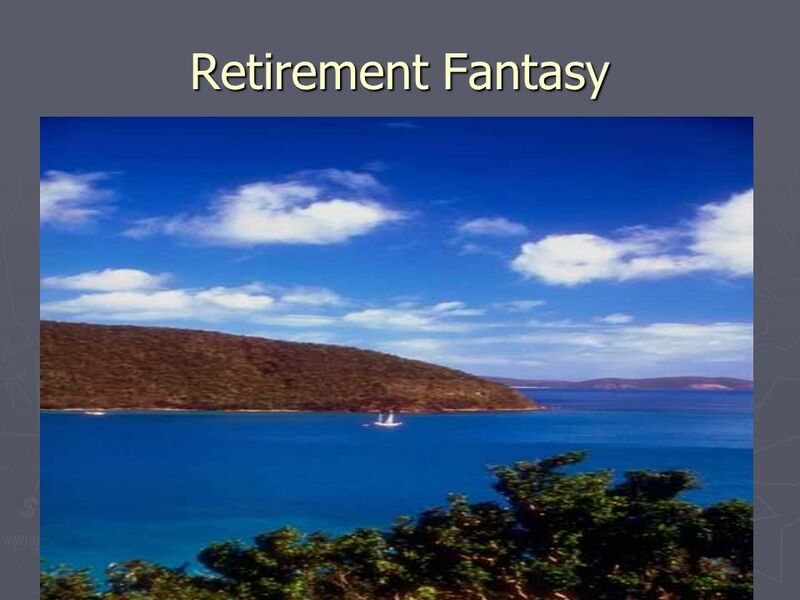 Five Years from now --- Ten Years from now --- Where will you live? 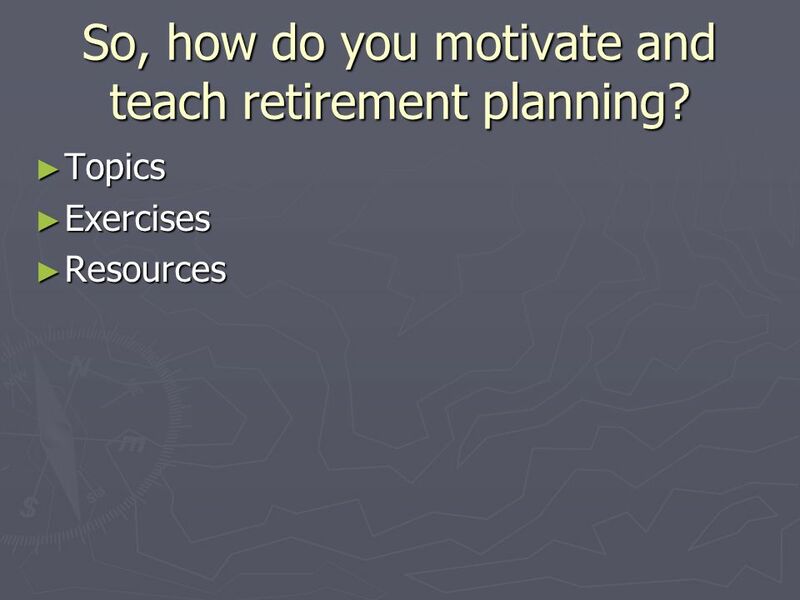 What will you do? 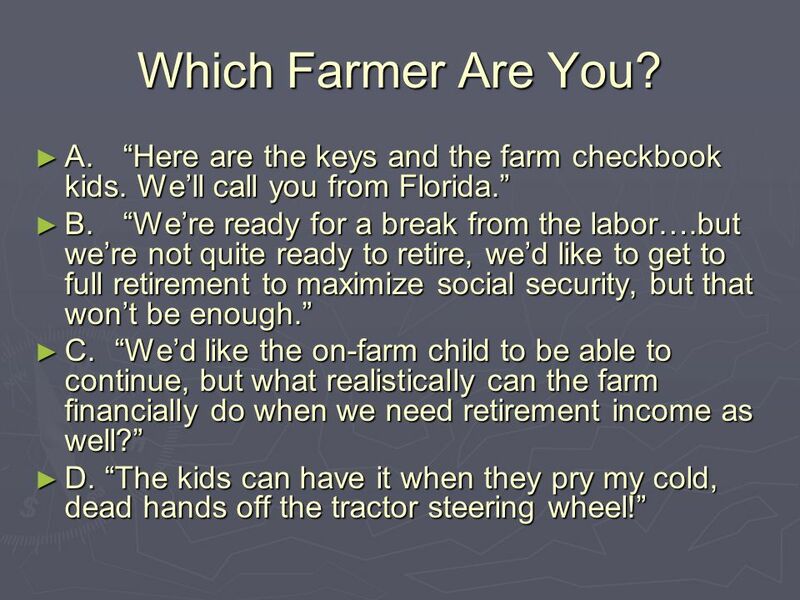 How are your living expenses paid? 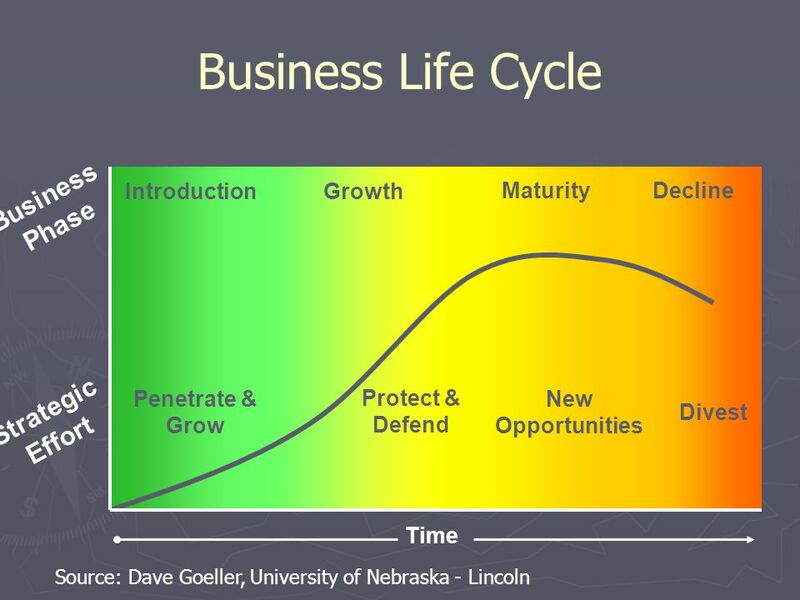 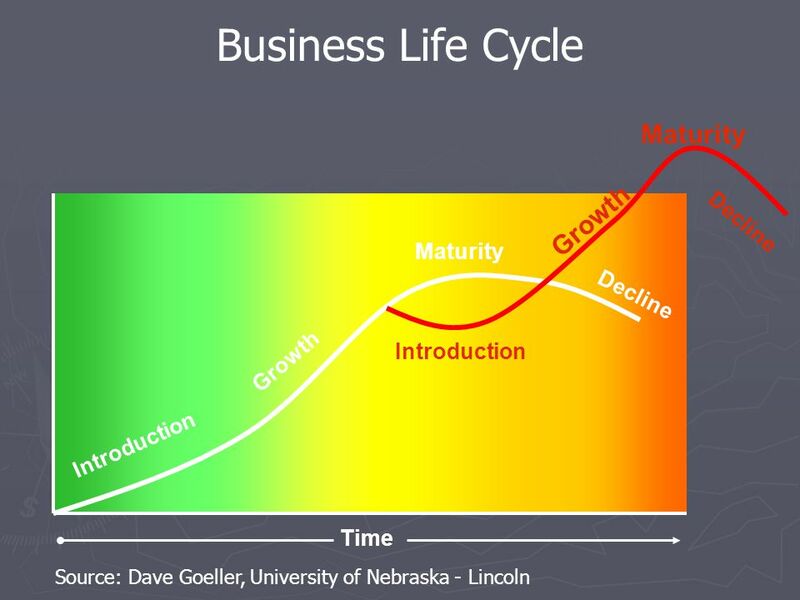 What does the business do? 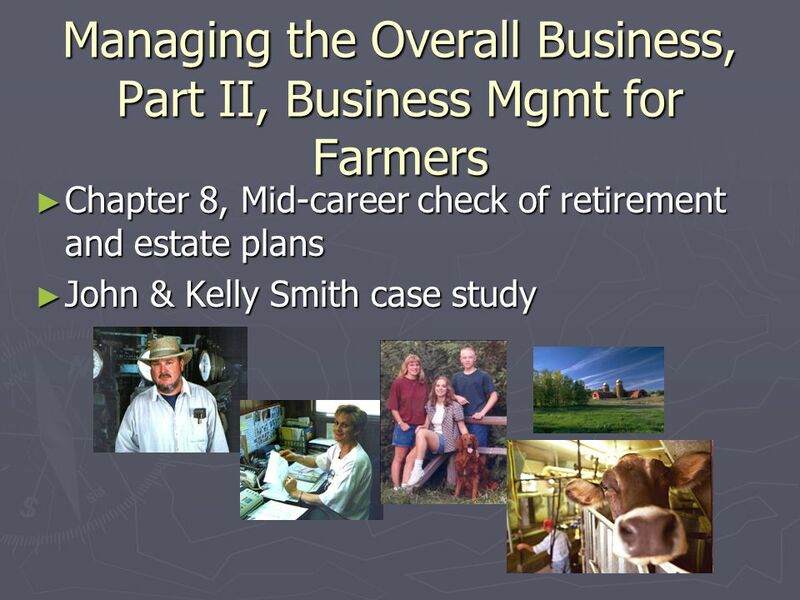 Who is managing it? 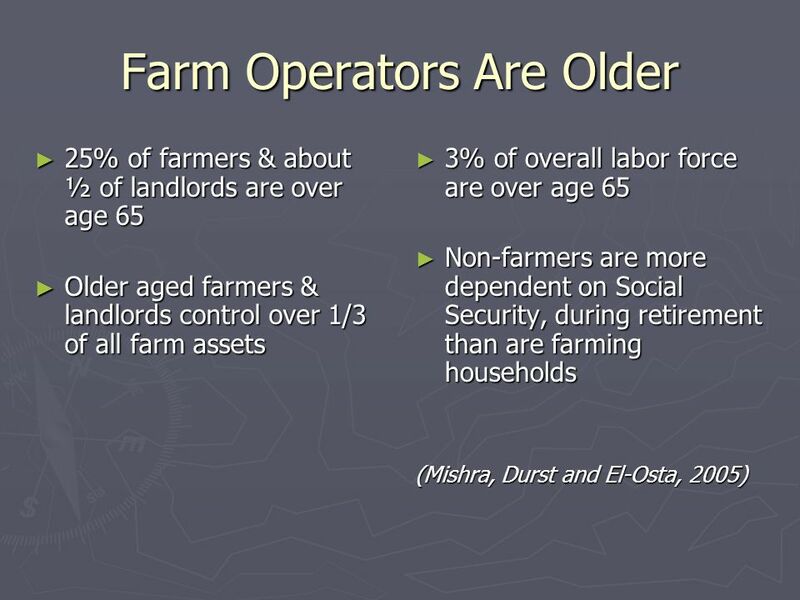 How much ownership do you have in it? 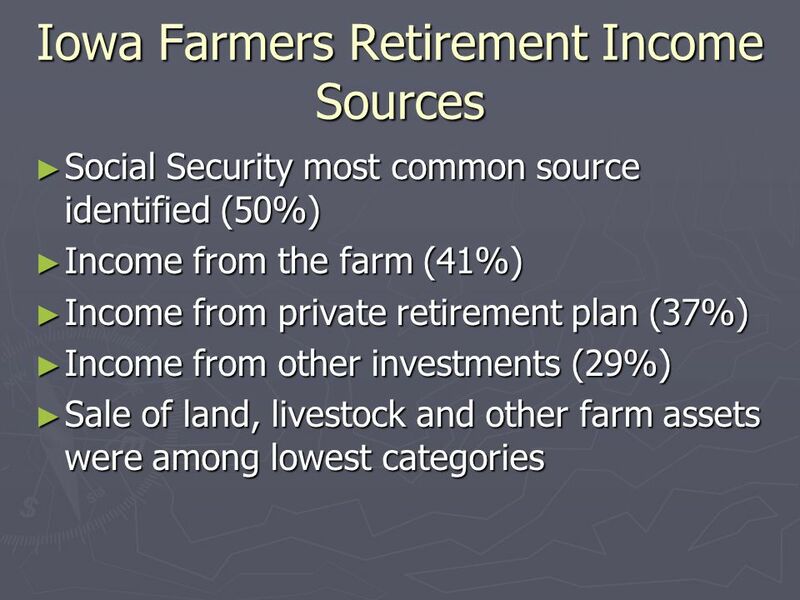 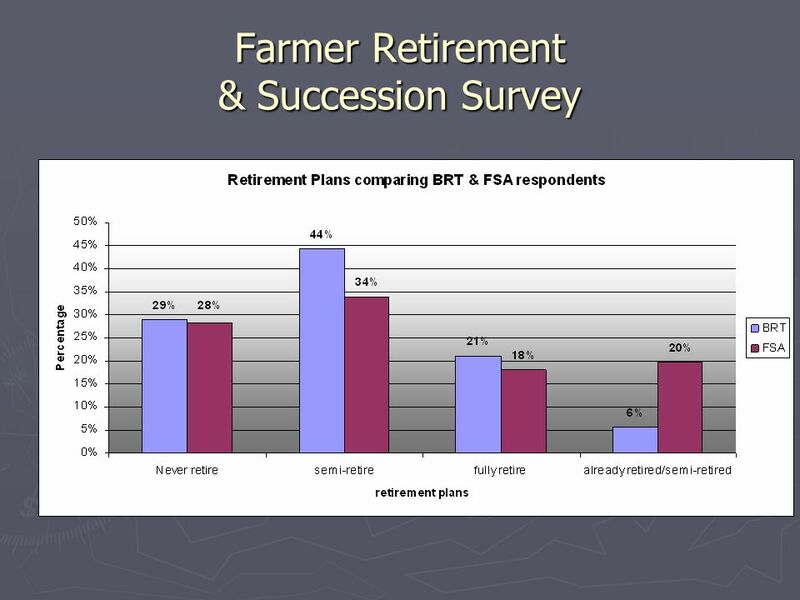 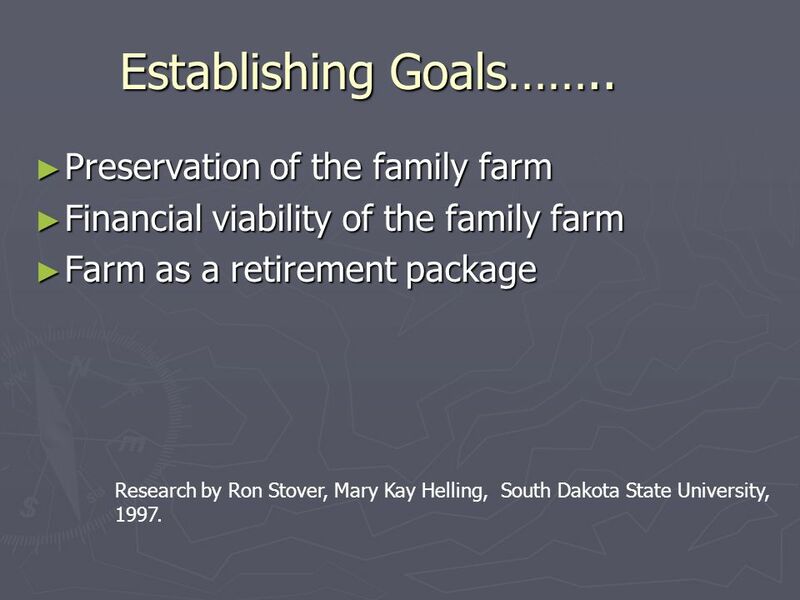 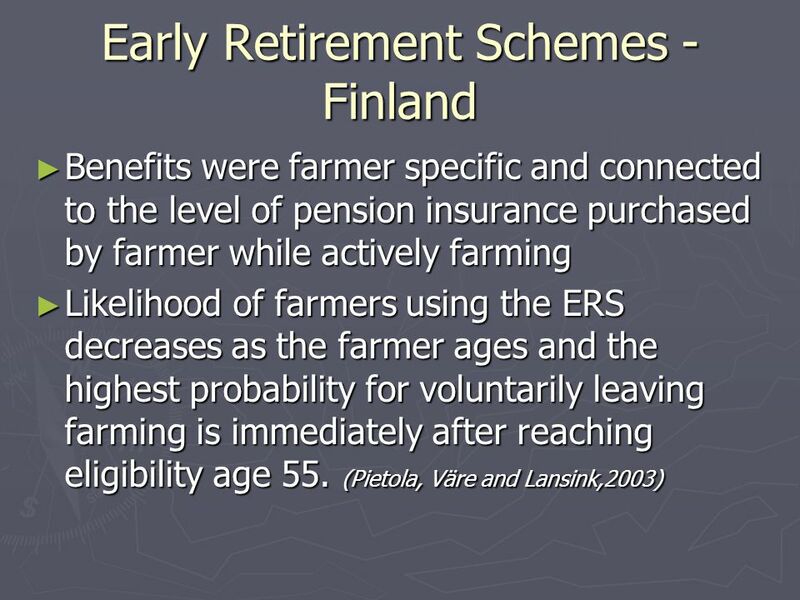 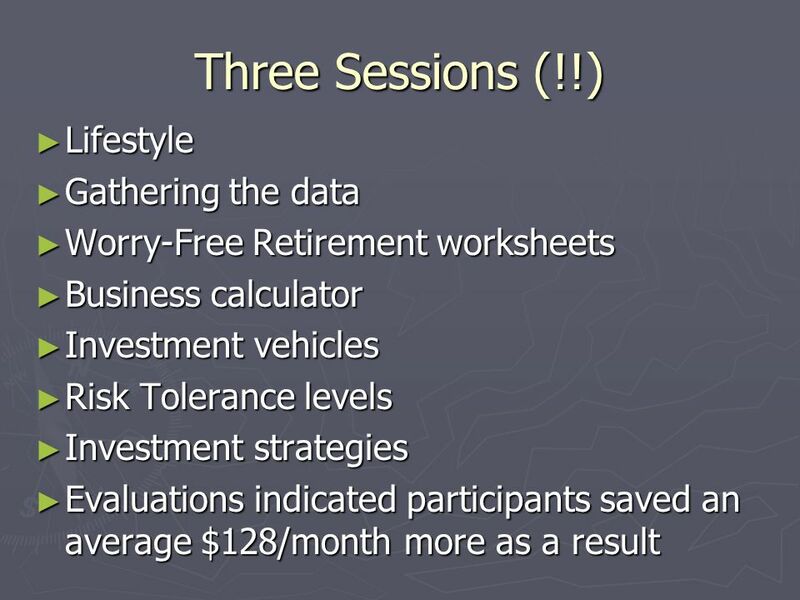 23 Establishing Goals…….. ► Preservation of the family farm ► Financial viability of the family farm ► Farm as a retirement package Research by Ron Stover, Mary Kay Helling, South Dakota State University, 1997. 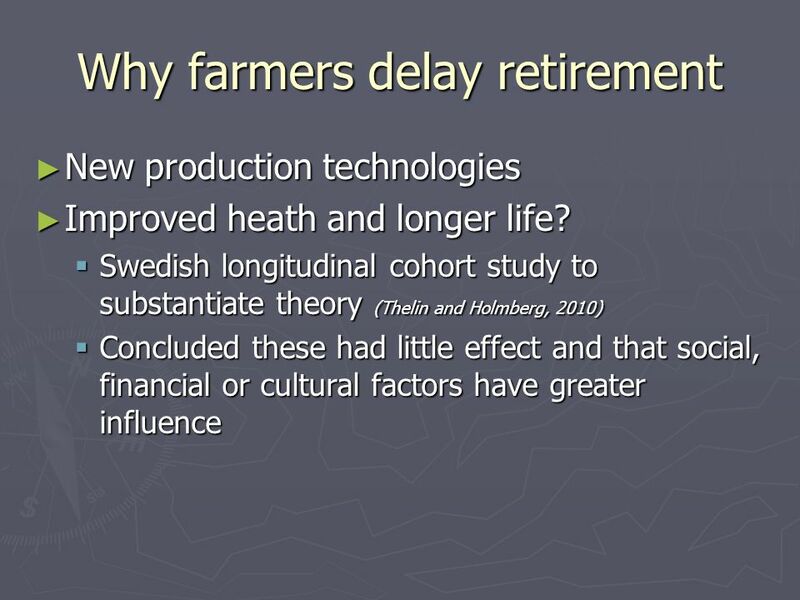 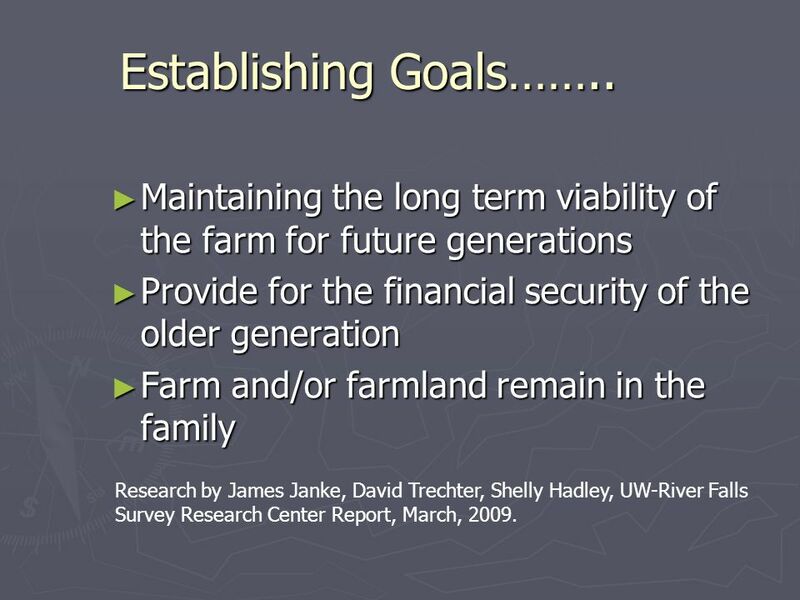 24 ► Maintaining the long term viability of the farm for future generations ► Provide for the financial security of the older generation ► Farm and/or farmland remain in the family Establishing Goals…….. Research by James Janke, David Trechter, Shelly Hadley, UW-River Falls Survey Research Center Report, March, 2009. 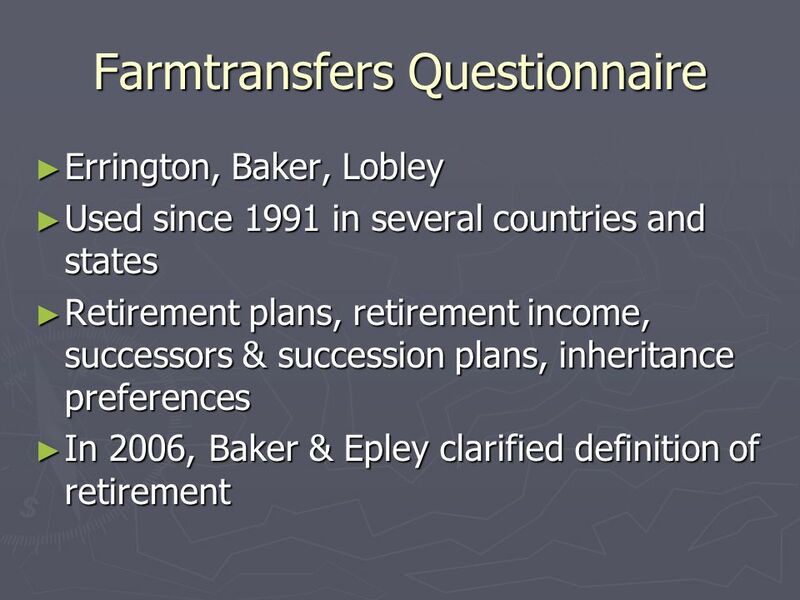 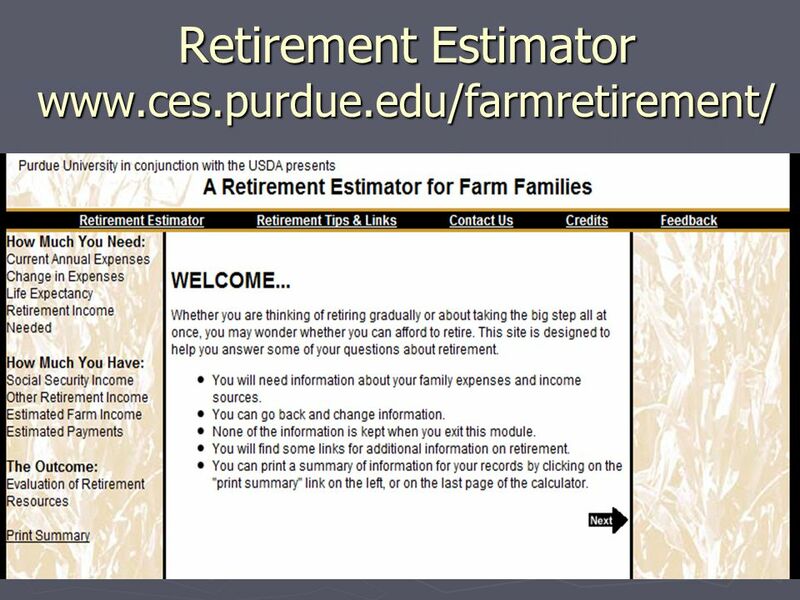 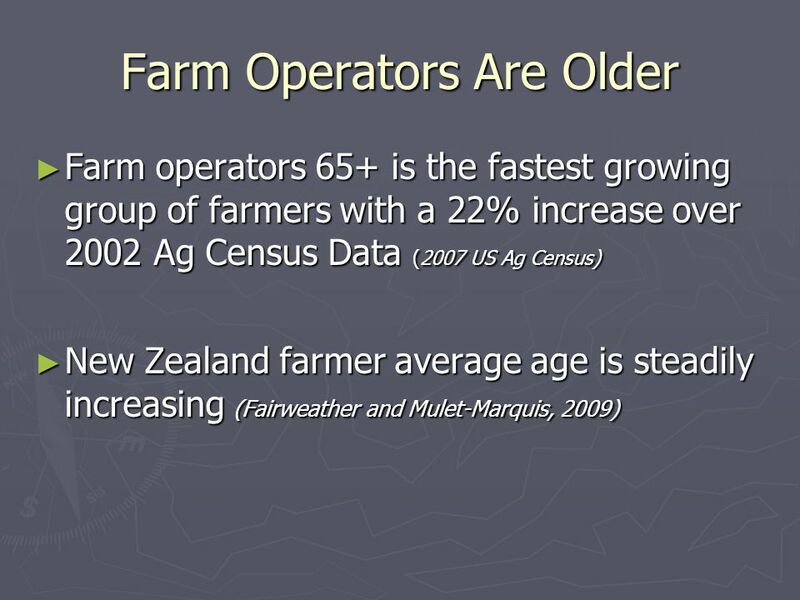 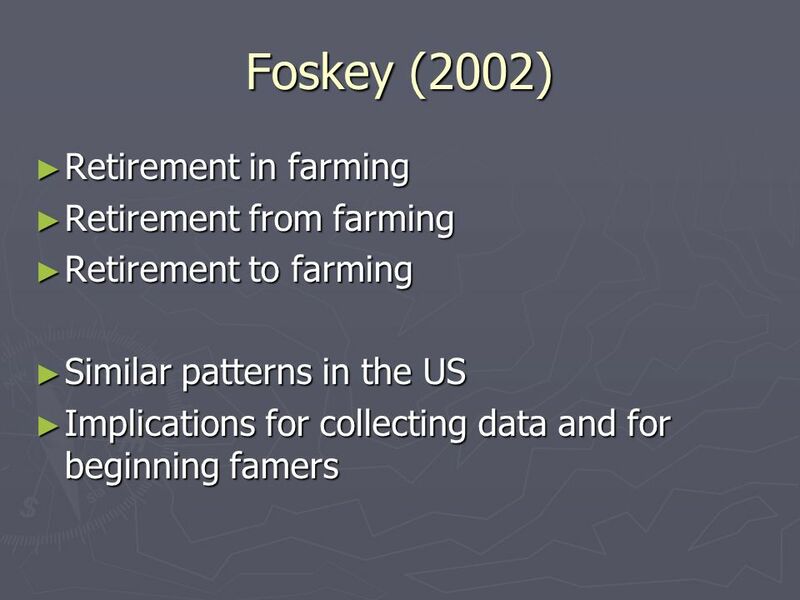 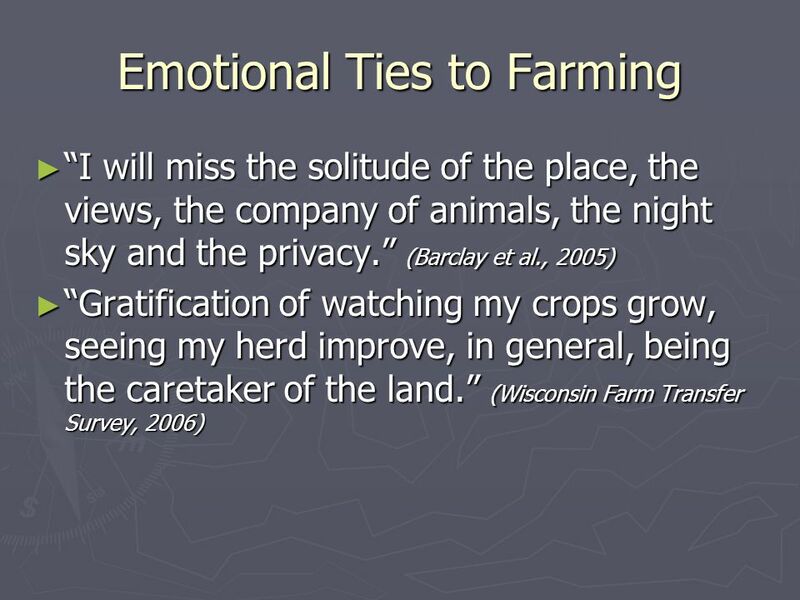 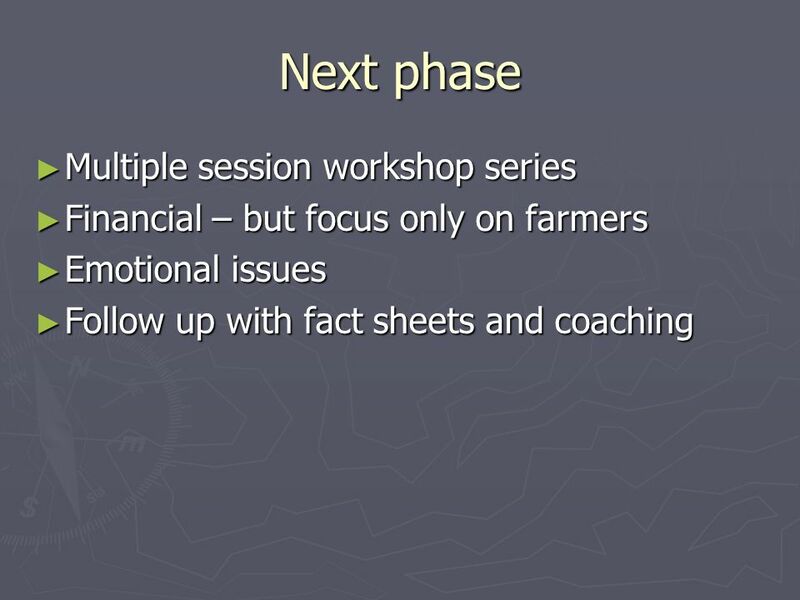 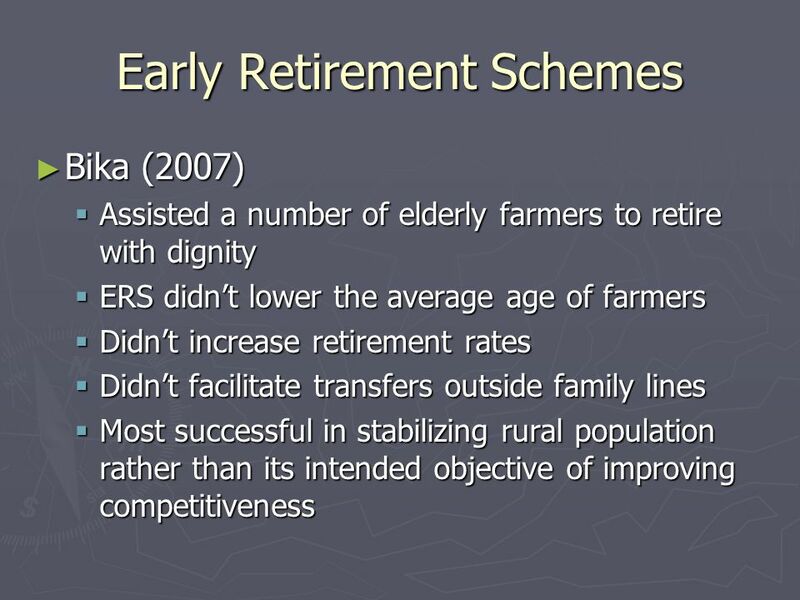 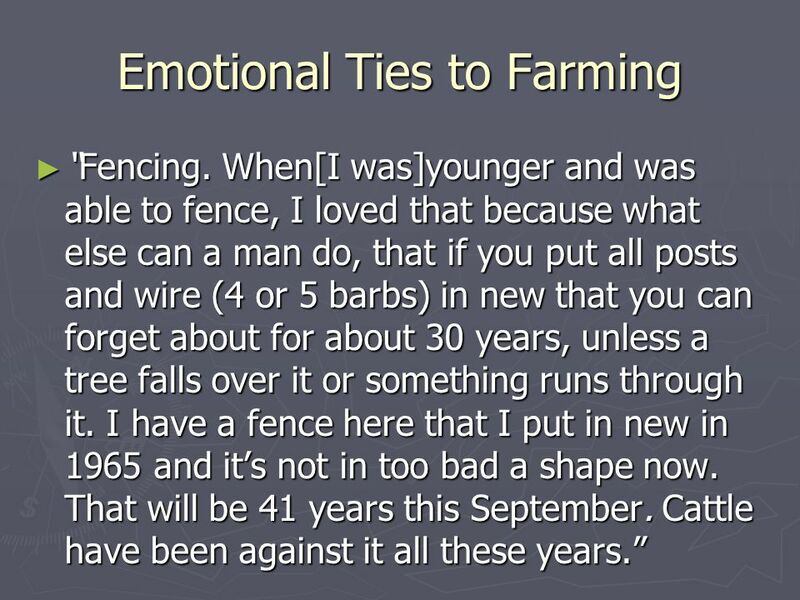 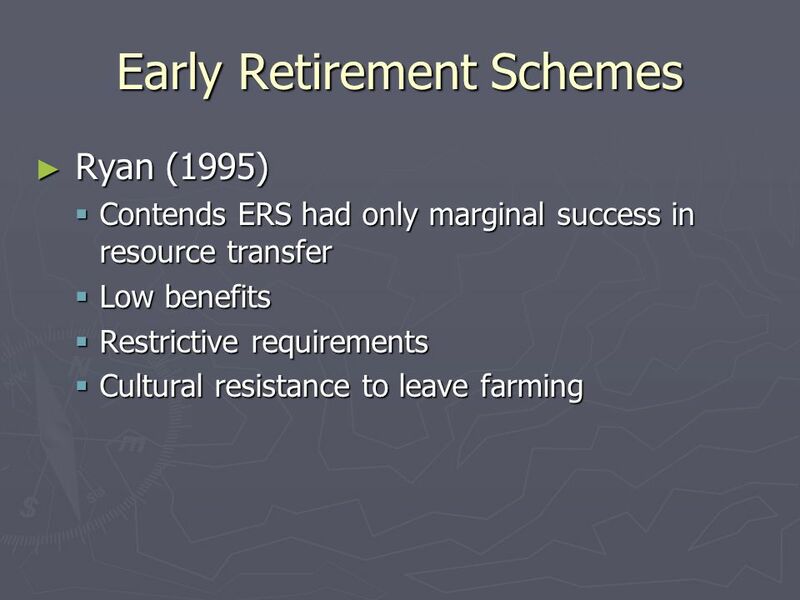 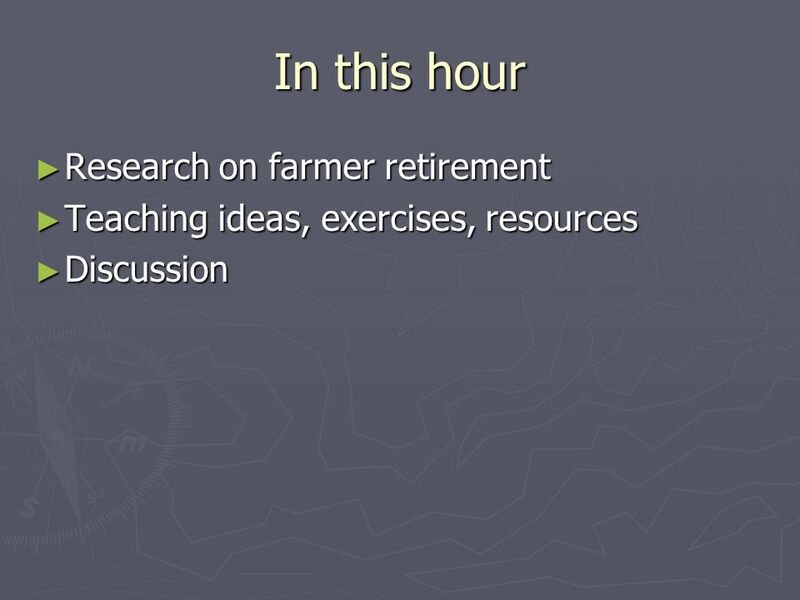 Download ppt "Retired Farmer: Is There Such a Thing? 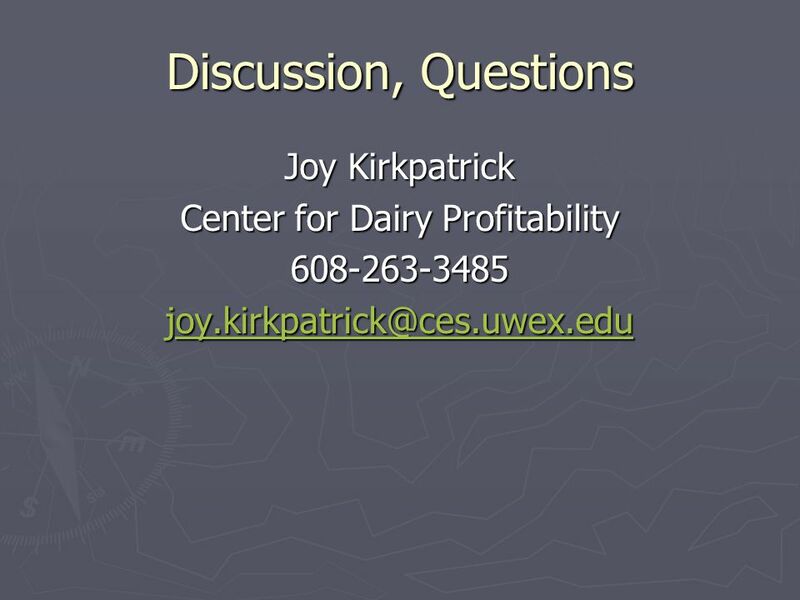 Joy Kirkpatrick Outreach Specialist Center for Dairy Profitability." 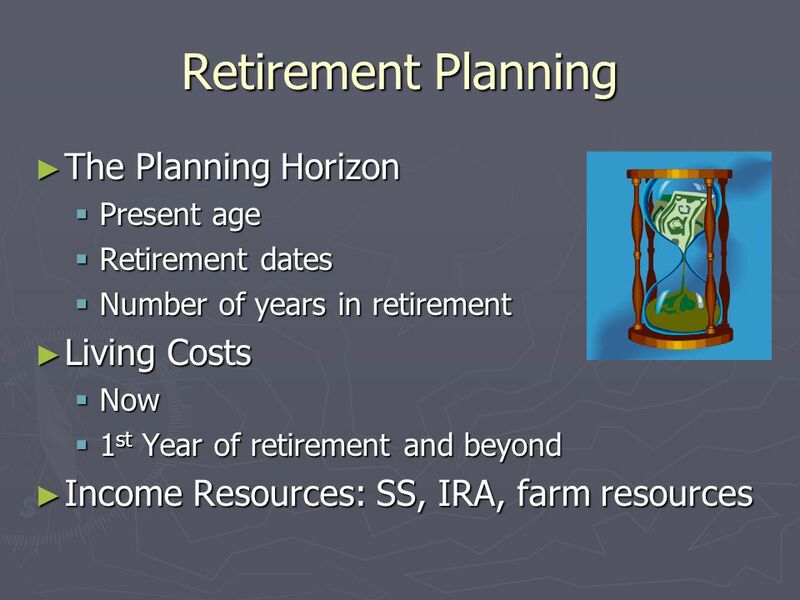 Save Now, or Pay Later by Burnett Sawyer. 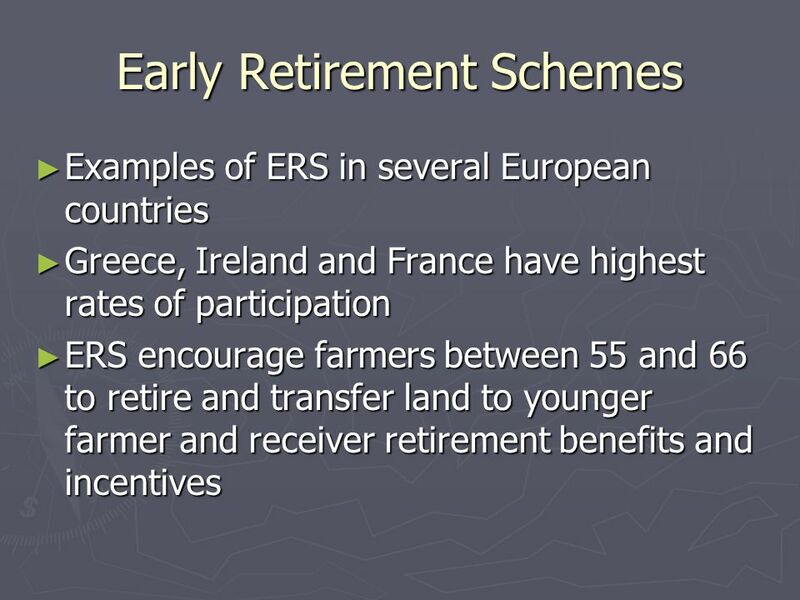 Survey of the civil and public services of EU Member States Jake Byrne Civil Service HR Directorate Department of Public Expenditure and Reform. 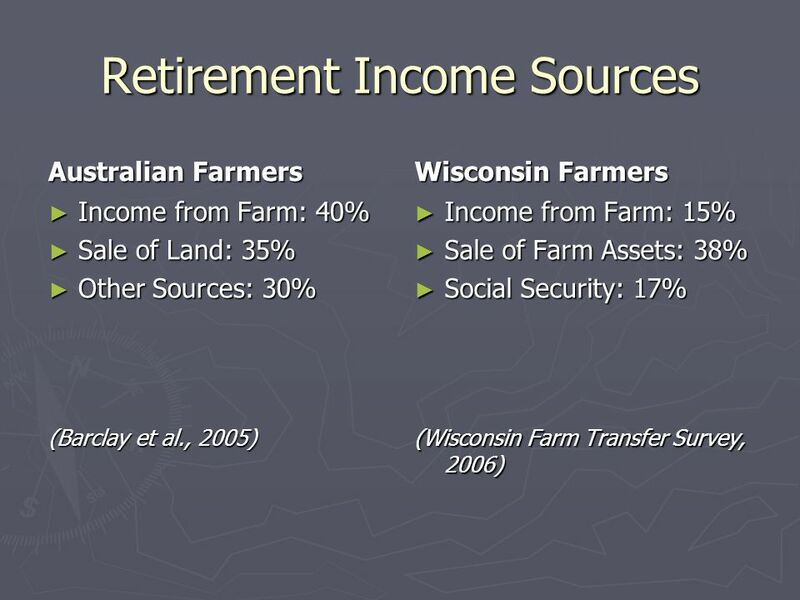 EXtension National Launch: Helping Farm and Ranch Families Make Critical Financial Decisions Financial Security for All CoP.